Ural’s sidecar outfits don’t look as if they change much from year to year, and that’s by design. Mainstream OEMs desperately try to update their products’ looks even if technically not much has changed under the plastic, but Ural takes the opposite approach. 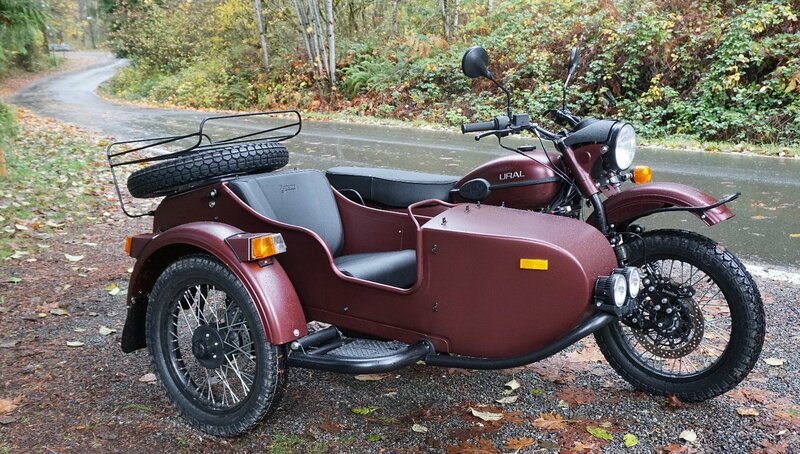 Ural customers don’t love these quirky sidecar outfits in spite of the fact they look like holdovers from World War II. They love them because they look like holdovers from WWII. But the truth is, almost every component on the Ural has been incrementally improved and upgraded over the last 20 years. For 2019, Ural’s modernized the fuel-injection system for easier starting and to help control emissions, and has improved the cylinders, heads, and pistons. If Wallace and Gromit ever become doomsday preppers, a Ural would be their bug-out vehicle. Consider that one of Ural's recent changes is that all three wheel assemblies are now the same. That’s significant because that distinctive spare wheel can now be used in any position. That oughta be handy, come the zombie apocalypse, eh Gromit? "Smile," I said to Ural CEO Ilya Khait. A Ural employee across the room said, “He’s Russian. He is smiling.” Photo by Mark Gardiner. 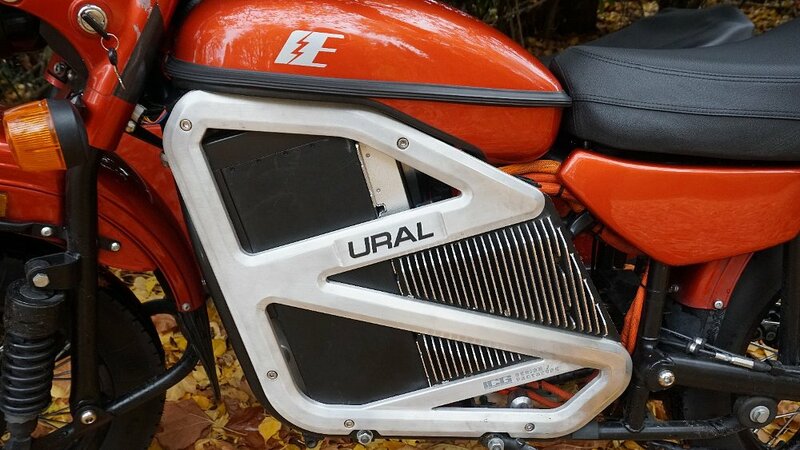 Although he’s put in plenty of time in Irbit, Ural CEO Ilya Khait runs the company from a small office/shop/warehouse facility in Redmond, Washington. Khait was a metallurgical engineer, back in the USSR. Back in those Soviet days, the IMZ-Ural motorcycle plant in Irbit produced up to 130,000 vehicles a year, employing 10,000 people at its peak. The company traces its heritage back to the WWII era. As the story goes, the Russian army determined that the BMW R71 was the best motorcycle for military use, and purchased several of them through a Swedish intermediary, so they could copy them. Apparently they planned to build them in places like Moscow and St. Petersburg, but given the speed of German advances into Russia early in the war, they realized the factory needed to be somewhere beyond the range of German bombers. Hence Irbit, in the Ural mountains. There the company remained, building motorcycles for the Red Army until the 1950s, and for civilian use after that. Ilya told me that when he was growing up in Russia, Urals were common, especially in the hinterlands. Before the collapse of the Soviet Union, the Ural plant produced up to 130,000 vehicles a year. Ural photo. But the old Soviet Union basically collapsed in 1991. In early 1992, Boris Yeltsin’s sweeping economic reforms ushered in a market economy. The IMZ-Ural plant was one of the many huge state enterprises that were sold off or (sometimes) virtually given to cronies. Some proved to be enormously valuable assets, but the Ural factory wasn’t one of those. One of the first things that happened when the border with the west opened up was a flood of cheap used cars poured in. That killed the domestic market for Urals. Over the course of the 1990s, the factory’s output plummeted. Khait visited the factory for the first time in 1999. At the time, he was working for a huge industrial conglomerate that had recently acquired the IMZ-Ural operation. Ilya was terrified by the prospect of filing a report on the condition of the asset. There were still 4,000 people working there, even though production had fallen to 2,000 vehicles a year. Three-quarters of IMZ-Ural’s production was not sold, but bartered, for everything from aluminum to bouillon cubes. Workers on the Ural assembly line in the 1980s, before production collapsed when trade was opened with the West. Ural photo. Thus began a period of what you might call tough love. Ilya fired two-thirds of the personnel. For decades, the factory had actually manufactured almost every component on the bike; aluminum ingots came into the factory and became pistons and engine cases; granulated rubber came in to be turned into grips. Any time you stop for gas or food, you can expect to experience UDF – Ural Delay Factor. Get used to it. (Or pretend you only speak Russian!) Photo by Mark Gardiner. After 20 years of progressive improvement and supply chain development, the factory now employs just 150 people. That’s probably not seen as a boon to Irbit — the city’s population has fallen by a third since IMZ-Ural’s heyday — but the motorcycles being made there now are vastly superior to the ones made in the Soviet era, when cases might’ve been cast from melted-down kitchen utensils. In the old days, there was so much variability in the dimensions of the sidecars that tonneau covers had to be custom-fit to each sidecar. Part of that process involved hand-punching grommet holes. That job was done by a craftsman who sat at a birch tree stump that had been moved into the factory. Each tonneau cover was laid on the sidecar, the position of mounting points was marked, then the cover was stretched over the stump, where holes were made with a punch and mallet. Deep into our conversation, Ilya admitted that he had basically never driven one of his own products. The previous U.S. distributor sold Urals as nostalgic "time machines" with BMW-esque pinstriping, and reveled in the many ways it was out of date. 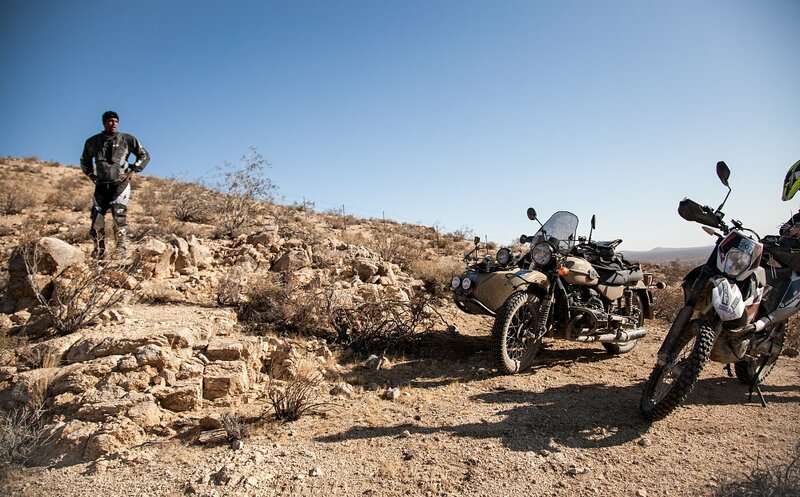 After regaining control over distribution, Khait emphasized the two-wheel-drive models, which is why the company now sells mostly the more rugged Gear Up outfit. New cylinders and head, new throttle bodies, and an old-school kickstarter, for those times deep in the woods when your battery’s been run down from operating your sat phone, and charging your night-vision zombie-spotting goggles. Photo by Mark Gardiner. The switchgear on the Gear Up is as nice as you want. The lever just inboard of the left grip is the parking brake, in the "on" position. The mirrors worked well. Photo by Mark Gardiner. As for the rest of it, the switchgear and most of the brake and suspension components are from Italy; the rims, axles, and hubs, and almost all the moving parts in the engine and transmission are mostly sourced in Taiwan. “The quality is crazy,” Ilya told me. “We get parts from the same people who supply Triumph and Ducati.” Luckily, virtually none of it comes from mainland China, so they don’t anticipate tariff trouble. For the first time, this year, the cylinders and heads (previously cast in the old factory) are now also sourced from a high-tech supplier in Asia. The new cylinders have more finning for improved cooling and the new heads have shorter exhaust ports, which also help to move excess heat out the exhaust. New pistons have a Teflon skirt and a hard-anodized crown and top ring groove. The compression ring is now treated with a molybdenum spray coating. 2019 Urals also have more up-to-date Keihin throttle bodies (from Japan, of course) that allow the Gear Up to meet ever tightening European Union emissions regulations and improve an old tendency for the outfit to be a bit cold-blooded. The Duro 4x19 tires are the same on all wheels, and since all the hubs are now the same, the spare can be used anywhere. Photo by Mark Gardiner. By now you know why I said at the beginning that although the visible changes are minimal from year to year, the machines have been pretty comprehensively updated. Today's Ural Gear Up looks like its ancestor from the Soviet era, but the brand wouldn't still be around if it hadn't changed its ways, in sourcing and production. Of course the final chapter in telling the Ural story has to be driving their latest. Cornering on a surface of wet leaves with no pucker factor? I could get used to this. Photo by Tyler Blakely. I have to admit that I’ve long harbored a forbidden love for the Gear Up. Living as I do in Kansas City, there are definitely a few days every year when ice and snow make a solo impractical. And if (more like when) I return to Canada, there will be lots more snow days. So, I’ve been fantasizing about having a two-wheel-drive Ural equipped with studded tires for winter duty. And, like Wallace, I’ve got a dog. So even in nice weather I’d have strangers waving and giving me thumbs-up. But, full disclosure: I’d never driven a sidecar rig at all until I visited Ural’s U.S. headquarters this fall. I suppose I was lucky to drive their EV prototype on my first day, which allowed me to get a feel for an outfit’s handling quirks without the added distraction of using a clutch and gearshift. When it came time to drive the Gear Up, I got a quick rundown of the rig’s controls, which are quite a bit different from what I’m used to operating on sporty solos. A Ural staffer told me that I’d want to take advantage of the heel-toe shift lever and use my heel for upshifts, and pointed to another smaller but similar-looking lever on the right side of the cases. That one engages reverse when you press the rear part with your heel. Pressing down the front shifts the transmission back into normal forward operation and it also serves as a handy neutral finder. Things look a little complicated on the undercarriage of the Gear Up. Photo by Mark Gardiner. I immediately made a mental note to avoid either lifting that wheel or burying the nose, because Ural was letting me out on the only 2019 model in the country, a few days before it had to depart for display at the IMS show in Long Beach. The Gear Up starts easily, but even with the new EFI, they suggested that I let it warm up a moment on a cold, wet day. The minimal instrumentation includes a yellow ABS warning light, which is a permanently on, because the machine doesn’t have ABS. The idle seemed to be set very low during my test. Getting underway is much like riding a solo, except one must first release a parking brake on the left handlebar. I squeezed the non-adjustable clutch lever, and nudged the shifter. First gear engaged with quite an emphatic clunk; like an old BMW, the gearbox is positive but not quiet. First is nice and low; I was pleasantly surprised how little clutch-slipping was required to get rolling. Parking-lot maneuvers, U-turns, and the careful exploration of uncertain surfaces were all just a doddle. The two-valve, pushrod motor has a mild-by-modern-standards compression ratio of 8.6:1. Ural claims it makes 41 horsepower at 5,500 rpm, and 42 foot-pounds of torque at 4,300. There’s no tachometer, and the power curve’s so gentle that I found myself thinking that when in doubt I should just shift up; unless I was climbing a hill, in which case I should shift down. Ilya told me that he was looking into upgrading to a five-speed transmission. The fairly big gaps between ratios meant that at one point, when I was climbing a hill too steep for fourth gear, and I shifted down to third, I really wondered how badly I was holding up the cars behind me. One thing about driving a Ural though: You present such a charming image that drivers trapped behind you don’t seem to mind the delay. Sachs strut on Russian-made leading-link fork. Four-pot Brembo brake grabs a single 295 mm rotor. That big steel loop on the front fender is handy – literally, as in, it’s a great grab point if your passenger needs to help muscle the front wheel over an obstacle. Photo by Mark Gardiner. Compared to the electric cT conversion, the Gear Up seemed to pull less to the right or left under acceleration or braking. One thing that was still noticeable was the substantial steering effort needed to bend the outfit into turns. Unlike a solo, where you can usually countersteer once, set the lean angle, and then use the throttle to straighten up out of a bend, an outfit needs to be muscled all the way through the turn. My test ride took place in conditions ranging from drizzle to a full-on downpour. I felt a little bit of understeer on slippery roads, which I could counter in right turns by feeding in a little more power to make the outfit pivot around its center of gravity. Although the Gear Up’s capable of cruising at what pass for freeway speeds in most of the United States, it’s definitely more of a smelling-the-roses ride. At one point I found myself behind a Time-Warner maintenance truck with a cherry picker crane on a nice winding two-lane road, and I was completely happy to just let that guy lead the way. That’s a not a feeling I’ve ever had on a road test before. The single-piston Hayes brake is linked to a brake on the sidecar wheel, too. Note that the Gear Up also has provision for a pillion, making it a three-person vehicle. Photo by Mark Gardiner. High points: Every story like this involves a series of photo passes at some point that usually entail making a bunch of U-turns, often on a narrow road selected for its photogenic backdrop. In this case, I found myself turning around on a sloping surface of wet leaves; that maneuver, which would have induced anxiety on any solo, was a piece of cake. And, I loved having tons of luggage space for my camera bag, rainsuit, notebook, etc. That knee pad is the last rubber component still made in Irbit. Photo by Mark Gardiner. With its auxiliary lights, spare wheel, shovel and jerry can, the Gear Up certainly looks doomsday-ready, but with one day to sample the lone 2019 model in the country, it would’ve been wholly inappropriate for me to find its off-road limits (or my own!). In any case, Spurgeon has already done that — sort of.